Our Overnight & Day Camp Program is designed for campers who come to Hockey Opportunity Camp that do not play hockey. Instead of spending half of the day at the arena, Camp Program camper’s stay at camp and participate in additional camp programming. Instructors are responsible for creating and executing fun and exciting special programming while other campers are at the arena. Programming may include arts and crafts, theme/special days, low organizational games, land sports and water activities. Instructors will evaluate and provide detailed, thoughtful evaluations for each camper at the end of each week. Instructors are responsible for teaching campers the safety requirements of each program ensuring that all participants use equipment properly and follow safety standards. 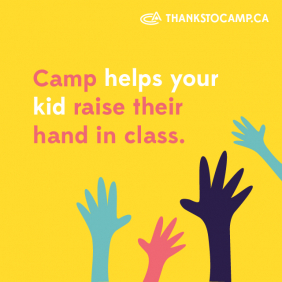 This includes providing care to our campers that reflects the standards and guidelines of HOC’s Child Care Practices. Each instructor is responsible for their program area and maintaining equipment in good order for next program period. Monday to Friday- Instruct 5-6 one hour programs for camper groups of 10-12 ranging in age from 7-16. Daily program development/maintenance time (1 Hour). Evening activity instruction (Monday, Tuesday) (1 Hour). Wednesday cabin coverage to facilitate counsellor evening off. Sunday Camper Registration (work brigades, registration, program demonstrations). Saturday Check Out ( 3 hours on Saturday, twice a summer). Thursday- compose detailed camper evaluations. Attend weekly all staff and staff team meetings (Sunday- Program Staff, Thursday- All-Staff) or as scheduled. Work One “Holdover Weekend”. Friday evening cabin supervision (if required) and provide programming and supervision for holdover campers ( campers here 2+ weeks) Saturday and Sunday. A minimum of 16 years of age. Experience teaching and communicating children of varied ages. Specific camp experience an asset. Minimum Bronze Cross Award (NLS preferred). Must be comfortable working independently. Must possess strong creative programming skills. Must possess strong group control skills. Must possess strong initiative skills.